Will hold: 2-4" PANS or 4-2" PANS. CAN STACK UNITS ON TOP OF EACH OTHER. 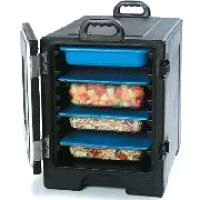 ** Please call us for any questions on our hot food carrier fhts whse rentals in Fairview Heights IL.